"A great holiday ham glaze needs to have three things: wonderful flavor, gorgeous, shiny appearance, and a crispy, crackling crust you can hear across the room. I'm happy to report this easy-to-make glaze has all those things in abundance." 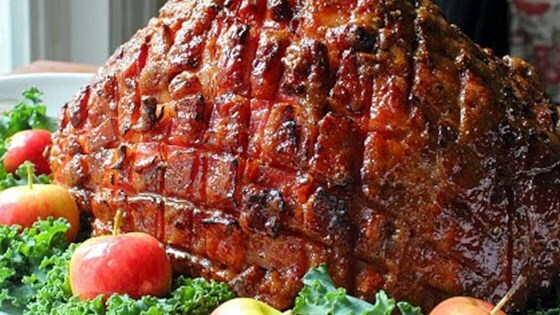 If roasting a regular ham, bake until an instant-read thermometer inserted into the center reads 140 degrees F (60 degrees C). You can use any vinegar in place of rice vinegar, if desired. Probably the best baked ham I've ever had. Really moist, ton o' flavor, incredible crust. Easily prepared, too.